Most of the Warhammer 40k games to date have focused on the bigger units within that universe; your Space Marines, Chaos demons, Ork war boyz, and the like. Neocore Games' Warhammer 40,000: Inquisitor - Martyr, though, wants to be sure they also include those smaller "horde" types, like the mischievous Nurglings. In their latest developer blog post, Lead Gameplay Programmer György Flórea explains how he worked to make the enemies smart enough to find the correct path in a dynamic environment, but also dumb enough to not react precisely when things change. So after the first panic, the solution kind of proposed itself: fluid simulation! In fluid simulation, particles (in this case: units) simply migrate from dense areas to less dense areas. To make this work, there needs to be a grid, where we calculate particle density per tile according to their location, so particles can determine their movement vector from the density of adjacent tiles (to move towards less dense tiles). It's a pretty interesting look into the ideas that go into designing and developing many of the elements that go into a video game, and worth reading if you're into that kind of thing. 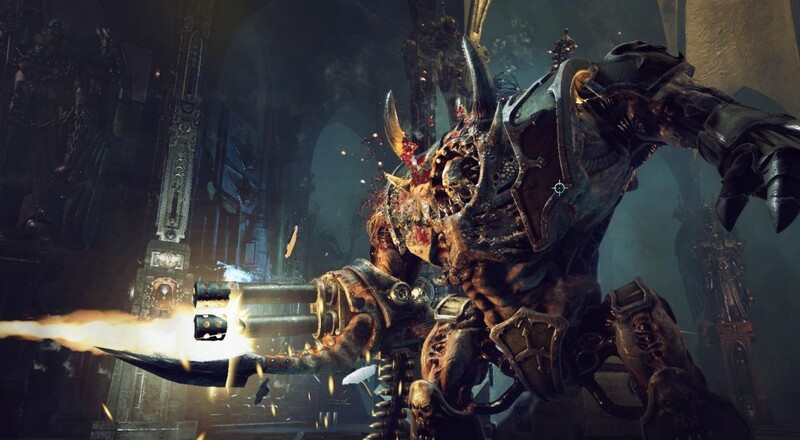 Warhammer 40,000: Inquisitor - Martyr is slated for release on the PC, Xbox One, and PlayStation 4, though no specific release date has been given. It will support four players online through the Inquistorial Campaign and in special World Events. Page created in 0.4410 seconds.